The unrepentant want nothing more than to hide from God. They will do whatever they can to cover their iniquity. They would even go so far as to call on the mountains and rocks to, “Fall on us and hide us from the face of Him who is seated on the throne, and from the wrath of the Lamb, for the great day of their wrath has come.” The unrepentant know exactly who God is. Their desire to hide from Him, at all costs, reveals it. “So when the woman saw that the tree was good for food, and that it was a delight to the eyes, and that the tree was to be desired to make one wise, she took of its fruit and ate, and she also gave some to her husband who was with her, and he ate. Then the eyes of both were opened, and they knew that they were naked. And they sewed fig leaves together and made themselves loincloths. The attempt of the Pharisees to cover themselves was similar to Adam and Eve’s same attempt in the garden. Like them, the Pharisees attempted to cover themselves in order to “appear beautiful” to God, when in reality they were inwardly unclean. When Adam and Eve (all of humanity at the time) covered themselves with fig leaves, it was akin to the Pharisaical attempt to “self cover” with religious practice. “In the morning, as He was returning to the city, He became hungry. And seeing a fig tree by the wayside, He went to it and found nothing on it but only leaves. And He said to it, “May no fruit ever come from you again!” And the fig tree withered at once. I think that it is reasonable to consider that Jesus was illustrating to His disciples the lack of value that the OT Jewish religious system had in terms of it’s ineffectiveness to resolve sin with the fig tree. Such was the error of the Pharisees. In other words, Jesus demonstrated to His disciples that instead of recognizing what the system pointed to, the Pharisees had instead wrongfully put on the system in order to cover themselves. Adam and Eve did the same thing. Though the system was not yet established when they were alive, Adam and Eve sensed the need to have their sin covered, and in realizing their predicament they attempted to cover themselves with what they thought could cover them. I don’t think it’s an accident that their covering was fig leaves. It seems reasonable to acknowledge the possible figurative representation of the fig leaves in Genesis 3. I mean, think about it. Humanity is always going to extreme levels of idolatry and religiosity in order to appease the God of their making, duping themselves into thinking it works. 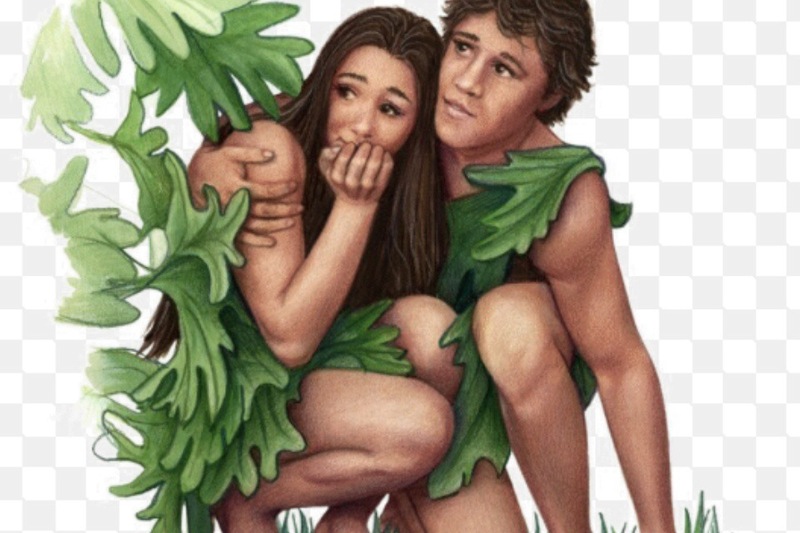 Adam and Eve (humanity at the time) put on fig leaves (figurative religion) in order to cover their iniquity. Such is the ongoing, prideful folly of their children: humanity. We (humanity) cannot cover ourselves from the wrath of God. Only God can cover us (Christians), and He has. Praise God the Father for sending His Son, our Lord and Savior, Jesus Christ, who is also God, to the cross, 2,000 years ago in Palestine, on our behalf.